One of the easiest ways to use Arts Integration is through the process of noticing and artful observation. In a way, as an artist, I didn’t even think of this as a strategy at first to include in the classroom – it is just the “normal” way I go about creating and interpreting music. But after reading many books and websites, I see the error in my ways. This is not the norm for classroom teachers…but it definitely should be. 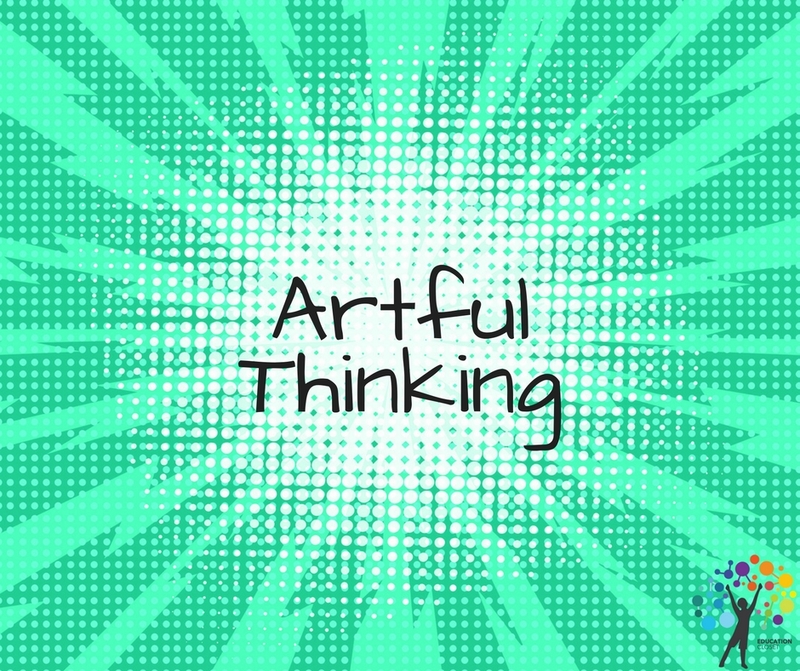 Artful Thinking is a strategy that involves asking deep critical thinking questions such as “what makes you say that”, and “what do you see, what do you think, what do you wonder?”. If you think about just those two sets of questions, think of the possibilities for the richness of a conversation in your classroom. Artful Thinking is derived from the ways that artists look at other artwork, how they begin the process of creating artwork of their own, and how they interpret art in their own critical eye. By applying these techniques to reading passages, geometry, the scientific method, historical events, or a host of other topics, students can suddenly engage in questioning and active involvement from their own perspectives. No longer are they a sponge for information. Instead, they are listening, learning, giving, receiving, and thinking critically about everything around them. This is what we want for our 21st century learners! There is a depth to the process of learning and the product of the process when you use Artful Thinking strategies that is unparalleled when compared to “standard” teaching models. And it’s so easy! It’s just a re-framing of perspective and an invitation for students to be more involved and responsible for their own thinking. I truly encourage you to explore this site and develop your own style of Artful Thinking. Once you start visualizing different perspectives, the way you teach and look at the world will never be the same!